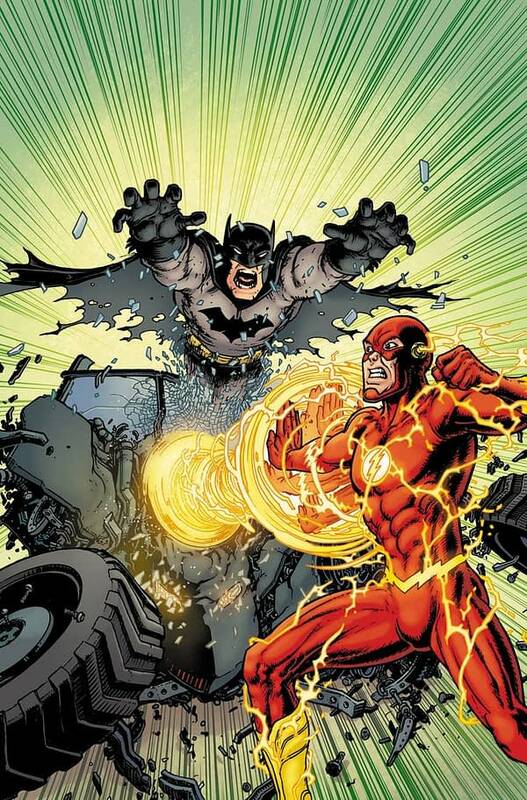 Yesterday, DC’s February solicits revealed a new 4-part crossover between Batman and The Flash, dealing with fallout from the Heroes in Crisis super-mega-crossover event. And as we noted, Batman writer Tom King, who is smack dab in the middle of a planned hundred-issue run on Batman, is nowhere to be found, with Flash writer Joshua Williamson writing all four issues. King to Twitter to explain that the reason he’s not writing the books is to take time to work on a secret TV project. As to whether I’m happy about any of this, I am not. I want to write all the Batman. But the secret TV stuff was really an insane-crazy thing and I decided, after much consternation, to give it a try. We’ll see how it plays out. So don’t worry, Tom King fans, King isn’t skipping town to avoid dealing with the fallout from Heroes in Crisis. Of course, whether he might skip town to become a global entertainment superstar if the TV gig works out, well, that will remain to be seen. We definitely would. But either way, you’re getting those 105 issues of Batman as promised. “THE LAST COLD CASE” part two! “THE LAST COLD CASE” part three! “THE LAST COLD CASE” finale!